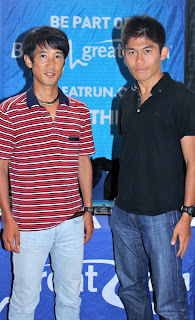 Arata Fujiwara (Miki House) is just about the most unpredictable elite runner in the world, a 2:07 marathoner who has run slower than 2:20 and even 2:30 as many times as he has hit it out of the park. An independent who, without a sponsor after quitting Japan’s rigid corporate team system in 2010, became just the fifth Japanese man in history and the first in over 20 years to win a marathon outside Japan sub-2:10 when he set a 2:09:34 course record at the 2010 Ottawa Marathon with support from JRN. His 2:07:48 at the 2012 Tokyo Marathon, again sponsorless, made him all-time #7 in the Japanese record books and got him both sponsors and a place in London, but he flamed out when it most counted at the Olympics. Jumping into Fukuoka on a whim a few months later for an impromptu duel with Yuki Kawauchi (Saitama Pref. Gov’t), Fujiwara beat his fellow indy rival by nearly a minute to take 4th in 2:09:31. After that 2013 was mostly a bust, the only bright spots being a 4th-place finish behind the three legends at last September’s Great North Run in the U.K. and a win at Japan’s Hakodate Half Marathon a month later, beating Kawauchi both times. His two marathons since then were both unsuccessful, a DNF at Fukuoka in December and a shuffling finish far down the field after pushing this year’s Tokyo at national record pace for the first 25 km. This spring when the Japanese Federation announced its new marathon National Team program featuring just about all of Japan’s current sub-2:10 men, Fujiwara’s name was left off the list. Since then Fujiwara, now 32, has re-evaluated what he’s doing, creating a long-term plan to get him to what is likely to be his last Olympic shot in Rio. He completely reworked his training philosophy, hiring longtime Japan-based Kenyan Cyrus Njui as a full-time training partner and moving out of central Tokyo to softer, more spacious turf to the northwest in Saitama. Hearing that Kawauchi would return to Australia’s Gold Coast Airport Marathon on July 6 this year to try to improve on his CR-tying 2:10:01 win last July, Fujiwara set getting there first as the initial goal of the next phase of his career. With Njui joining Fujiwara in the Gold Coast field with support from JRN, the pair travelled to Kenya in mid-May to get down to business. 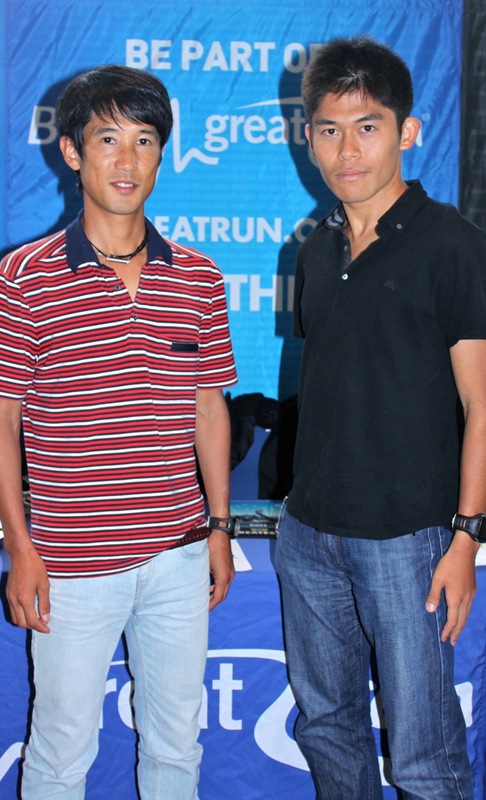 On the final day of their training in Kenya JRN interviewed Fujiwara about how his training has changed, his goals for the Gold Coast Airport Marathon and beyond, hiring Njui, and, of course, Kawauchi. This is your first time in Kenya, right? Yes, my first time. We’ve been here just over a month, about 35 days. We’ve been in two places, Kianyaga and Nyahururu. 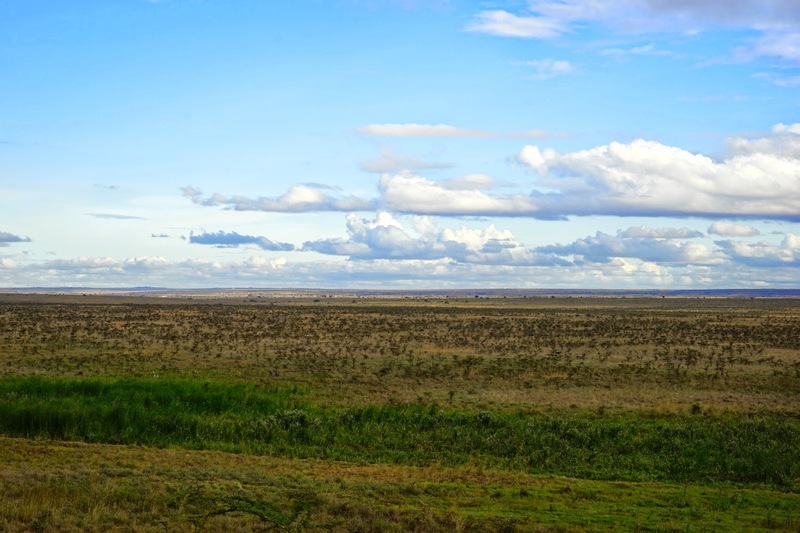 Kianyaga is south of Mount Kenya, where Cyrus is from. We were there for two weeks, then went to Nyahururu. 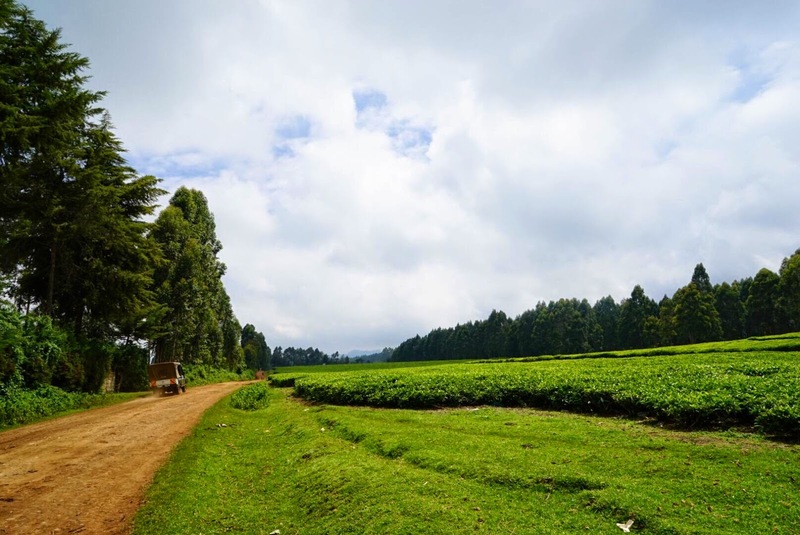 Nyahururu is one of the famous training areas, at an elevation of about 2400 m. 2380 m, I think. That’s where we’ve been now for over two weeks. We originally planned to train in Iten too, but going to three places made things too busy so we changed plans and stayed in Nyahururu. How would you compare the training you're doing there to altitude training you’ve done previously in St. Moritz and elsewhere? When I’ve trained in Kunming and St. Moritz at around 1700 or 1800 m elevation it was pretty tough, but Kianyaga didn’t seem that hard. I didn’t feel like I was suffering even though it was about 1800 m. I ran a lot on hills there on a cross-country loop at a moderate pace, then have focused more on speed since we came to Nyahururu. After we got to Nyahururu it really felt like altitude training. I definitely started suffering, but a good suffering, the kind of pain that you know is the result of you improving. That has been a great encouragement. Can you give us an idea of the basic overall training regimen you’ve gone through since arriving there? It was divided into two parts, Kianyaga and Nyahururu. 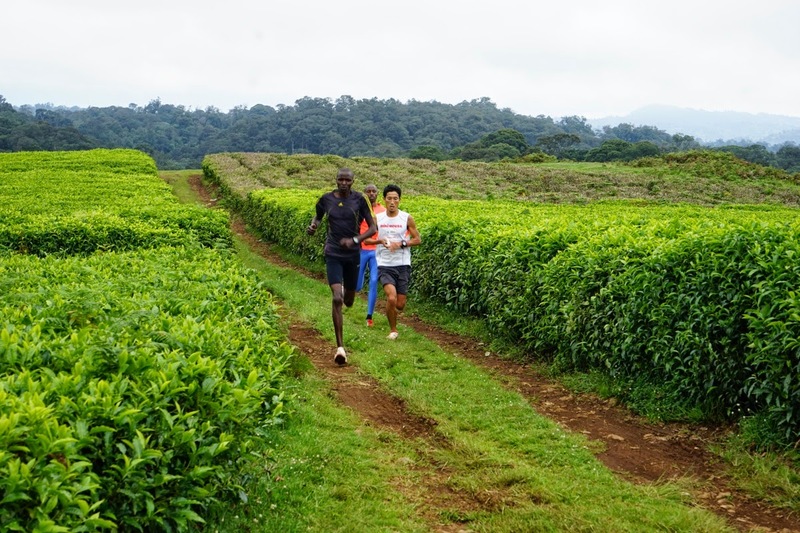 At first in Kianyaga the key workouts were cross-country runs and a buildup on a dirt road. I did the cross-country workout three times, 15 km the first time, 20 km the second time and 25 km the third. That was on a grass cross-country loop around a tea field at about 2100 m. It wasn’t really an established course, just a route we made ourselves. One loop was about 1.6 km. The buildup workout was at about 1500 m on a slightly downhill course. We’d start at a jog and end up just over 3:00 per km pace over a total of 16 km. I did that workout three times as well. In between these workouts it was easy jogging, but here the easy jogs are tough too. (laughs) No joke, they were hard. I figured that out pretty quickly. So, if in name only, at least, I did some “easy jogs” up and down the mountain on different courses. There were a lot of hills, so even jogging uphill became like getting in another hard workout. In between the cross-country and buildup workouts there were one or two days of these runs they were calling “easy jogs.” Doing this I could feel that I was steadily getting into better and better shape. The buildup workout was a lot faster the third time than when we did it the first time. That was the Kianyaga part of the training. 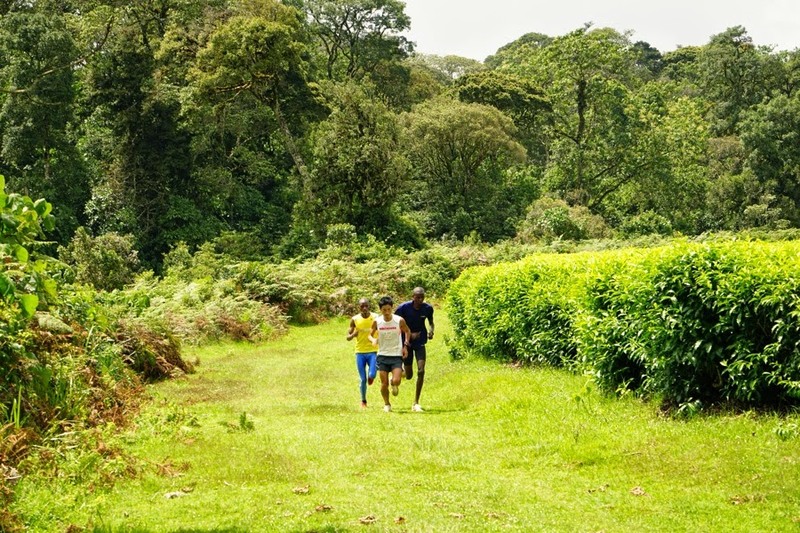 Once we got to Nyahururu we started doing more speed work, alternating speed and longer distance. The first track workout was 600 m X 10. After that was another 400 m X 10 workout with all ten of the 400s in about 68 seconds, then 30 km the next day. Next was 1000 m X 5, then another interval workout, then 1000 m X 5 again. The second 1000 m workout was a lot better than the first one, about 3:02 to 3:03 for each rep. The pace was faster the first time, but it was right after we got to Nyahururu and it was tough to handle the altitude so I had to sit a couple out. That was at 2400 m? Yes, 2380 m. Next after that was 25 km on a course with really serious ups and downs. It was net downhill on the way out and uphill on the way back. [Samuel] Wanjiru used that course when he was training for the Beijing Olympics. I heard that he ran the uphill part on the way back at 3:30 per km pace. I did it at around 4:10 or 4:20 pace. (laughs) Even that was really tough, but I could still keep up. I did that run with Cyrus. Was that the workout you emailed me about where you ran with a big group of twenty or thirty guys that shook down to about five by the end? No, that was a different run. That was an easy jog. (laughs) At the start they said it was going to be an easy jog, but along the way everyone started battling. (laughs) An “easy jog” in name only. But that’s part of Kenya’s strength. That run didn’t count as a workout since it was just a morning run, but it was really hard anyway. I wore my heart rate monitor and it was about the same as when I did serious workouts. That’s why everybody died along the way. But that was different from the 25 km workout. Overall, what has been different this time from how you’ve trained for marathons in the past? Basically, up to now I’ve always placed the greatest emphasis on time, like running at 3:00 per km pace. If I was at sea level, for example, my progression would be doing 1000 m X 10 at exactly 3:00 per km, then 2000 m X 5 at 3:00 again, and once I could do that then 3000 m X 5 at 3:00. Up to now I’ve always focused on trying to perfect running “three minutes,” building and building the distance over time. In Kenya I’m dealing with altitude and rough courses with a lot of ups and downs, so I have no idea what pace I’m really running. If we’re just talking about getting the workouts in then I’ve really been getting it done, but whether it’s a long pace run or an interval workout it’s hard to read into the times because of the altitude and hills, and since I don’t have any experience with this kind of situation it’s hard to say what kind of time I’m ready to run. But my body feels in great condition so I’m not that worried about it. Overall I’ve had to let go of being fixated on times and take confidence from knowing that I’ve put in good, hard work that isn’t reflected in the times, and that has been radically different from how I’ve managed my training in Japan. Your last two marathons didn’t go well. In Fukuoka you dropped out and in Tokyo you slowed down dramatically after running near national record pace through 25 km. How would you compare your preparations this time to those two races? For Fukuoka I was training very focused on times and I thought I was relatively ready, not perfect but about 70%. But it was a total failure, a real confidence shaker. It was hard right from the beginning. I felt heavy and knew I couldn’t make it to 40 km, and dropped out at 20 km. In Tokyo, I’d had the flu so I hadn’t gotten in good training and was not confident. I was half thinking of pulling out before the race, but among other things there was pressure from the organizers to run, so I ran. Once we started I was surprised at how well I was moving, the first time in a long time that I had felt good and comfortable during a race. That was the way it developed. Overall I ended up with a bad result but along the way Tokyo was the first time in a long time that I felt like I was running an interesting race. My training had been totally insufficient, but being able to run as far as I did as well as I did on that kind of training base gave me some confidence back. If I could do that, then if I could get in a solid training cycle I knew I could still be competitive. Compared to Tokyo, my training this time has been absolutely great. I’m lean and I’ve got the mileage in. It’s been at altitude so the speed has not been what it usually would, but I feel like once I go back down I’ll be able to fly. Overall, if you wanted to compare it to Tokyo, things are looking pretty good. What are your goals for the Gold Coast Airport Marathon? I want to break 2:10. If I’m lucky, 2:08, 2:07. That’s what I’d like to shoot for, especially since a lot of other Japanese are running. I wasn’t picked for the marathon National Team, so I’d like to get a little payback for that, and in that respect the Gold Coast Airport Marathon is perfect timing. I’m doing it my way. I’m imagining the headlines saying that I made a comeback by training here in Kenya. That’s the kind of race I want to run. What do you think about Hirokatsu Kurosaki from the national champion Konica Minolta corporate team? He was one of the guys who benefitted a lot from your pacing in Tokyo and ended up with a solid time, 2:09:07. I wasn’t thinking about him at all in Tokyo, but to run that kind of time in his third marathon was pretty awesome. He was in great shape. I think he’ll be in good shape this time too. Kurosaki’s running rhythm matches mine pretty well, so it’s easy to run together and that’s a plus to me. Overall, a lot of tough guys are coming this time. If it comes down to a race after 30 km I’m totally confident, so in that sense I’m feeling good about my chances of winning. This spring you hired Cyrus Njui to your Arata Project company. Could you talk about him? Cyrus Njui’s contract with the Hitachi Butsuryu team ran out this spring. He has been in Japan for over thirteen years and wanted to stay based there, so a mutual friend came to me and asked if there wasn’t a way for him to work with me. From my point of view, I thought having Cyrus to train with would be a major plus, so I talked to him about becoming training partners and we both felt that it would work out well. We thought of approaching Miki House about supporting him, but my sponsor contract with them is an individual one and so rather than via Miki House we decided it would work better if he was supported as a member of the Arata Project. It’s kind of a first. For me, I’ve sort of had a pattern of how I’m going about things since I went independent four years ago, but that pattern was a little too fixed and it just led to me banging up against a wall without being able to find a way through. I couldn’t figure out what I needed to change, and so in that regard a new stimulus, a new storm called Cyrus is blowing through and that has led me to really revamp what I’m doing. The result of that is I’m here in Kenya now. Basically the only way to know if it was the right or wrong decision is to look at the race results, but I feel like I’m going in the right direction with the big changes I’ve made. But coming here to Kenya and training with Cyrus has been something really memorable, a major motivator and it has really helped my fitness. In that respect it was definitely a good thing. I plan to come back in August. Training at 2400 m, you really need at least two months. The first month it’s just suffering as your body adjusts, but if you have a second month then you can really train. If I come back and do that then I think I can go for 2:06. Thanks, really interesting. Especially for me, and most of your readers, who are pounding away on asphalt every day. great post brett - as much as i love yuki and what he means to the sport, i'm wishing that arata would make a really strong return to the world scene. he's got great tools and a fabulous attitude! I really enjoyed reading this great interview. Great interview Brett and really drew some terrific insights out of Arata. I look forward to calling the Fujiwara v Kawauchi duel on our Gold Coast Airport Marathon webcast. Will be great to have you as a guest commentator. Live on the web site from 05.45 AEST next Sunday. "Overall I’ve had to let go of being fixated on times and take confidence from knowing that I’ve put in good, hard work that isn’t reflected in the times, and that has been radically different from how I’ve managed my training in Japan." I look forward to "watching" it live on your posts next week!